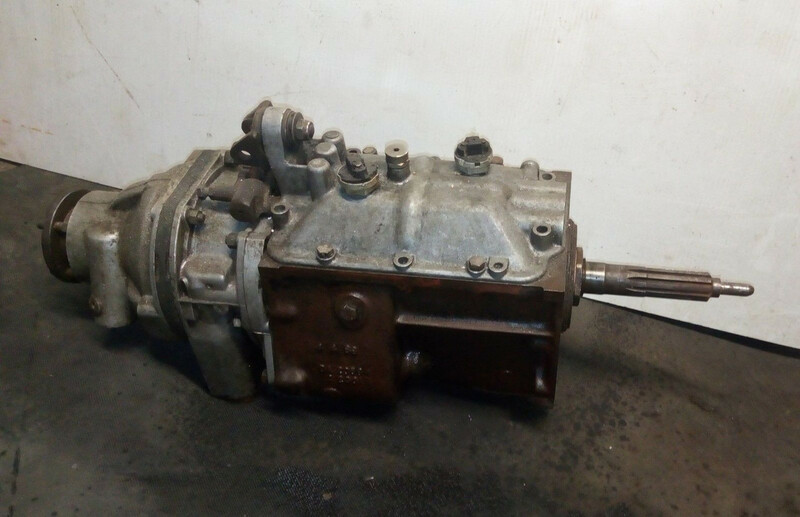 I have now managed to get hold of a gearbox via ebay, a manual box, please see images. 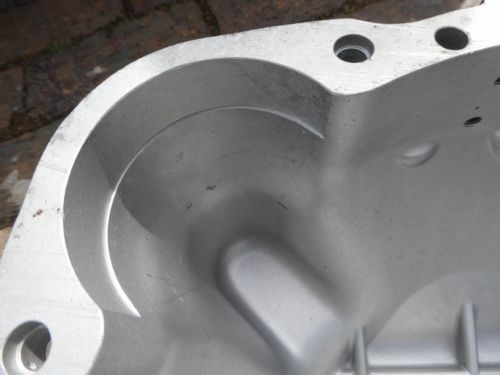 The bell housing has C14444 cast inside the casing. 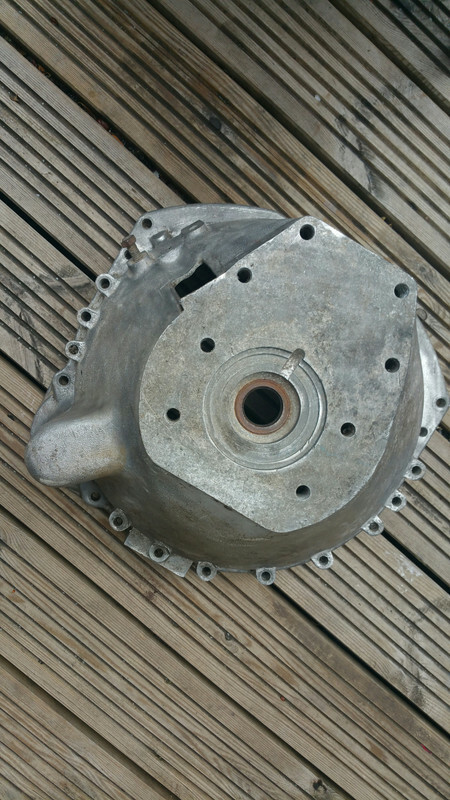 Couple of questions, does anyone know if my flywheel will work with this bell housing? And also what type of starter motor I require? the one I have at the moment is from an auto and it does not fit. Yes just checked, your right, the person I bought it off sold them as a "pair" although they came in separate packages and I have not tried "mating" them until now. Just eyballing it I reckon that bell will fit on the front. I've recently had to machine a Moss box bell to fit an all synchro box. It'll be easy to check because it will either fit over the bearing and split ring or it won't. If it doesn't all is not lost; see my thread on machining the bell. Steve: I wasn't aware of the issue with the starters. I thought the only problem was if the cast recess for the preengaged starter pawl was too small with the really old Moss bells. 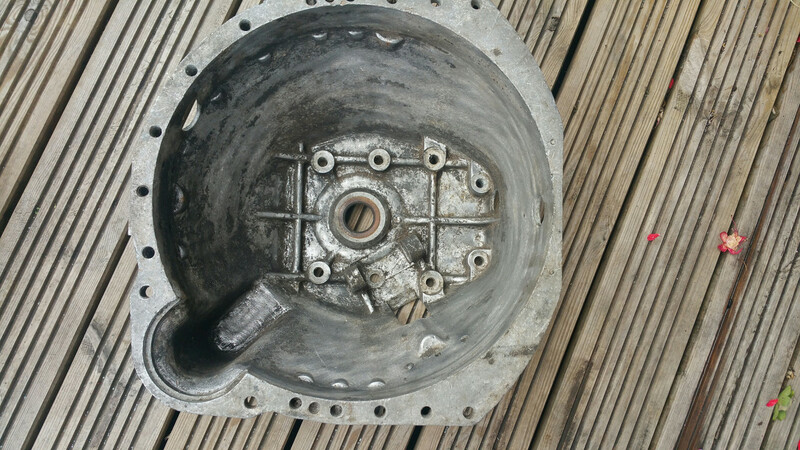 Do I need to recess the starter holes as well? Thanks for the feedback, glad I posted the pictures.